• Duane Adams, 43, homeless; city police; aggravated and simple assault, recklessly endangering, possession of a controlled substance (synthetic marijuana — commonly referred to as k2) following a disturbance in a woman’s home at 204 Park St. on Tuesday night; he allegedly punched the woman, identified only as “Gatz,” knocking her to the ground and then grabbing her head with his two hands and twisted it to the point that the woman thought Adams was going to break her neck; jailed in lieu of $100,000 bail; the woman had allowed Adams and his girlfriend to stay at her home because they had no other place to stay. • Anthony Benson, 57, of 1109 Franklin St.; city police; terroristic threats, possession of an instrument of crime and harassment for allegedly threatening to kill Opal Benson while holding a knife during a disturbance at their home about 9:40 p.m. Saturday; jailed in lieu of $25,000 bail. • Star Pinkney, 29, of 531 Pine St.; city police; possession with intent to deliver 91 grams of marijuana and related offenses at her apartment on Aug. 6; jailed in lieu of $100,000 bail. • Michael Dautlick, 21, of Patton, Cambria County; city police; possession of marijuana and drug paraphernalia in the 200 block of William Street on July 3; released on $5,000 bail. • Willis O’Brien, 25, of Perryville, Maryland; Old Lycoming Township police; possession of marijuana and drug paraphernalia in the 600 block of Route 973 West in Lycoming Township on June 30; released on $1,500 bail. • Marion Lehman, 54, of 222 Klump Road, Cogan Station; the county’s DUI Task Force; DUI at Route 973 East and Bloomingrove Road in Hepburn Township on June 30; sent a summons to appear before a district judge. • Bradley Woolsey, 36, of Milton; Montgomery police; DUI on Second Street in the borough on June 24; sent a summons to appear before a district judge. • Ashley Lynn Reaser, 22, of 308 Columbia Ave., Allenwood; state police; furnishing alcohol to minors and corrupting the morals of minors for allegedly providing alcoholic beverages to two minors, ages 13 and 14, at a party in the 1000 block of Harding Road in Franklin Township on June 17; sent a summons to appear before a district judge. 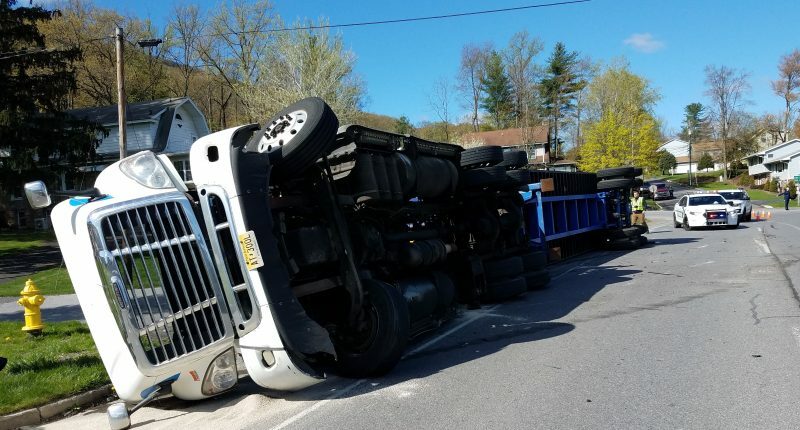 • Rickey Lee Probst Jr. 24, of Mill Hall; state police; DUI, careless driving and reckless driving at Route 405 and Muncy Creek Boulevard in Muncy Creek Township on June 17; sent a summons to appear before a district judge. • Christopher Secules, 24, of 60 Ban Road, Muncy; state police; DUI at Route 405 and Plaza Drive in Wolf Township on June 9; sent a summons to appear before a district judge. • Amber Burkhart, 29, of 377 Stony Gap Road, Cogan Station; state police; DUI, driving without a license and careless driving at Mill Lane and Dewey Avenue in Old Lycoming Township police on May 28; sent a summons to appear before a district judge; this was her second DUI arrest. • Tashae Davis, 20, of 1030 Park Ave.; state police; possession of marijuana and drug paraphernalia in the 800 block of Park Avenue in the city on May 22; released on $5,000 bail. • James Drummond Jr., 31, of 705 Hepburn St.; state police; DUI and careless driving at Washington Boulevard and Packer Street on May 20; released on $5,000 bail. • Charles Wheeler, 33, of 5909 Warrensville Road; state police; DUI, possession of marijuana, possession of drug paraphernalia and careless driving on Interstate 180 in the city on May 18; released on $5,000 bail. • Crystal M. Miller, 41, 2500 Federal Ave. Apt. 279; city police; DUI in the 100 block of East Fourth Street on May 18; released on $5,000 bail. • Abraham Perez, 25, of Milton; city police; misdemeanor shoplifting and receiving stolen property for allegedly stealing $192 worth of merchandise at Kohl’s, 251 William St., on May 15; released on $5,000 bail; this was his second shoplifting arrest. 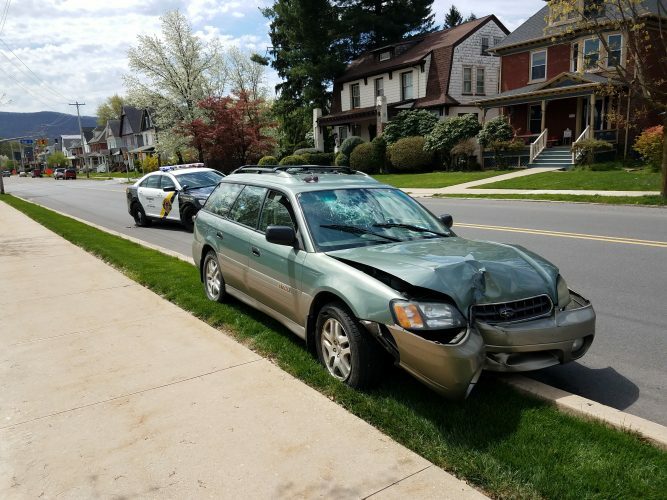 • Robert Fredrickson, 74, of 266 Lincoln Ave.; city police; DUI and careless driving following a crash in the 300 block of Grampian Boulevard in which he drove through a yard, struck a tree and slammed into a car that was parked in driveway, pushing the vehicle 15 feet on April 25; released on $5,000 bail. • Tyler Stevens, 24, of Ulysses; Muncy Township police; making unsworn falsification to authorities for allegedly putting down false information on a government form when he attempted to purchase a firearm at Gander Outdoors, 66 Mall Parkway, Muncy; on March 29; sent a summons to appear before a district judge. • Ian Fink, 39, of 722 First Ave.; the county’s DUI roving patrol division; DUI at West Fourth and William streets on Dec. 23; released on $5,000 bail; this was his second DUI arrest.